When you hear about brain health, you may think of lowering stress and anxiety. However, having a healthy brain also involves reducing risk of stroke as well as memory conditions like Alzheimer’s and dementia. A recent report has found that keeping your body healthy is vital to keeping your brain healthy. Having a healthy body involves more than just eating healthy and exercising. American Heart Association’s Life’s Simple 7 provides simple guidelines to help you develop a healthy body and healthy brain. What are the Life’s Simple 7? 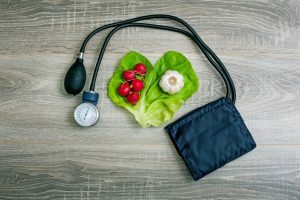 Manage blood pressure– A healthy blood pressure is one where the systolic, or top number is 120 or less, and the diastolic, or bottom number, is 80 or less. The systolic pressure measures the pressure during contraction of your heart, while the diastolic measures the pressure in between heart beats. You should have your blood pressure checked at least once a year at your annual doctor’s visit. If you have hypertension, or a blood pressure of 140/90 or higher, you should see your doctor at least every 6 months to monitor your blood pressure. Control cholesterol– You should keep track of your cholesterol numbers at least once a year to stay healthy. This includes not only total cholesterol, but also your LDL, HDL, and triglycerides. If you already have high cholesterol or triglycerides, be sure to visit your healthcare provider every 6 months to keep track of your numbers. Keep blood sugar normal– When you visit your health care provider, be sure to take a look at your fasting blood glucose and HgA1C numbers. The fasting blood glucose will give you an idea of your current blood level of glucose. However, your HgA1C will give you a three month average of your blood glucose levels. Your HgA1C provides a long term picture of your blood glucose levels and is a better diagnostic tool. A prediabetes diagnosis would occur at an HgA1C of 5.7 to 6.4. If your HgA1C is 6.5 or higher, you may have diabetes. Be sure to get your numbers checked every year. Check your numbers more often if you have a family history or diagnosis of diabetes or prediabetes. Get physically active– The Department of Health and Human Services recommends 30 minutes of moderate exercise 5 days a week for optimal health. Moderate exercise can include walking, swimming, gardening, biking, or dancing. You can split this 30 minutes up into five or ten minutes here and there throughout the day. Eat a healthy diet– A healthy diet contains plenty of protein, healthy fats, and fiber-rich foods. Protein can come from lean meats, low-fat dairy products, and healthy plant-based proteins such as legumes, nuts, and seeds. Fiber-rich foods include fruits, vegetables, and whole grains like oats and quinoa. Also, healthy fats from plant-based oils like olive oil, nuts, seeds, avocado, and fatty fish can improve brain health and improve heart health. Lose extra weight– It is important to maintain a healthy weight to lower risk of chronic conditions. Obesity-related conditions like heart disease and diabetes can increase risk of brain health conditions. Therefore, losing weight can improve both heart and brain health. Don’t start smoking or quit– Smoking can constrict blood vessels and increase risk of hypertension. Therefore, if you don’t already smoke, don’t start. If you do smoke, contact smokefree.gov for resources on how to quit. 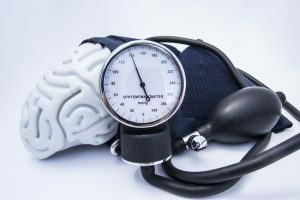 A recent report by the American Heart Association (AHA) has found that brain health is linked to healthy lifestyle factors. For example, increased blood pressure, blood glucose levels, and high cholesterol can increase risk of atherosclerosis, or narrowed blood vessels. Narrow blood vessels can restrict blood flow to the tissues and organs. This can lead to increased risk of stroke. Over time, multiple strokes or mini strokes can lead to cognitive impairment, or vascular dementia. The risk factors for stroke as listed in the Life’s Simple 7, are the same for Alzheimer’s disease. The Life’s Simple 7 are risk factors that can be measured, modified, and monitored. Therefore, healthcare providers can use the knowledge gained from observing such factors to help better treat their patients. Scientists hope that such data can also lead to expanding research. They hope they may be able to detect genetic or brain markers that could lower the number of people who get dementia. Nearly 75 million people are expected to have dementia by the year 2030. However, this number may be lowered if steps are taken now to provide brain health prevention guidelines. Therefore, take steps to improve your lifestyle today to keep a healthy brain for life. Other ways to create a healthy life include taking nutrient-rich supplements such as Livrio by Vita Sciences. Livrio contains natural compounds such as milk thistle that have been shown to support a healthy liver. This supplement helps cleanse and detoxify your liver, in turn providing you with improved energy, glowing skin, and overall well-being. Every once in a while, you may feel a bit gloomy, disappointed, or stressed. However, depression is much more than just having a bad day. Depression is a serious mood disorder that can make simple tasks such as eating, working, and sleeping much more difficult. A recent study has found that low estrogen levels in some women may be linked to depression. According to the National Institutes of Mental Health (NIMH), depression occurs when you have several of the following symptoms for more than two weeks. Also, a person may be at higher risk for depression if they have a family history of the condition. Major life changes or chronic health problems may also increase their risk. 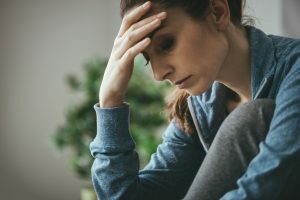 Most recently, a study in Menopause showed that a lack of estrogen exposure may put women at higher risk for depression. The study looked at 1300 women and their level of estradiol exposure related to their depression risk. It was found that those with higher levels of estradiol exposure from the onset of menstruation to menopause had lower levels of depression. Also, those women who had longer term use of birth control had a lower risk of the condition. It is important to know that the number of pregnancies and use of breastfeeding did not impact these results. 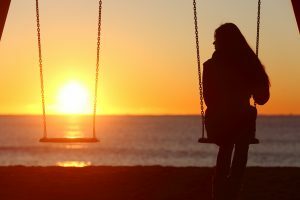 There is no cause and effect of low estrogen and depression, but these study results are still important. This is because those with earlier menopause, more frequent hot flashes, and less frequent periods all were at higher risk for depression. Hormone changes are likely to blame for this. During such times during and after menopause, women are at much higher risk for depression than others. Therefore, if you feel you may be dealing with depression, there are many resources for help. There is no one treatment that will help everyone. First of all, let your doctor know if you are feeling depressed. Your doctor may be able to provide medicines that may make dealing with your depression easier to deal with. Also, they could test your hormone levels and provide hormone supplements that may reduce symptoms. Other resources for depression are listed below. Talk therapy with a licensed health care provider can help you talk about your feelings. Such counseling can help you manage your stress better and cope with life issues in a healthy way. Being more active through walking, running, gardening, or other exercises. The fresh air from nature and the “feel good” hormones released during exercise can help improve mood. Spending time with other people such as family, friends, or support groups can improve your mood. Talking with others that care about you and your health can help you see that you are not alone in dealing with life’s issues. Setting realistic goals for yourself can make life easier to deal with. Taking small steps towards your goals can make life seem less overwhelming. You should celebrate each small victory and don’t be afraid to ask others for help along the way. 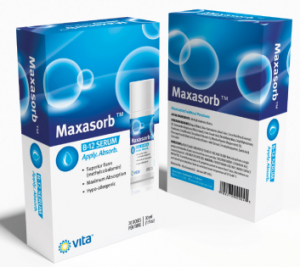 Ask your doctor about trying certain supplements such as Estrosa by Vitasciences. Estrosa contains compounds such as Black Cohosh that have been found to help relieve the hot flashes, weight gain, bloating, and mood swings related to menopause. 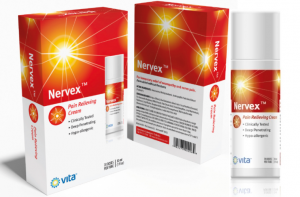 For both women and men, Elevia by Vitasciences helps boost serotonin levels which can improve mood and calm the mind. Also, foundations such as Hope for Depression provide valuable resources to help those with depression learn more about the condition. Also, this foundation helps support research efforts to find better treatments for those with depression. Experiencing an energy crisis? You may just need more vitamin B12. 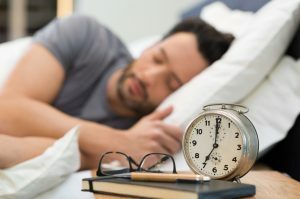 Fatigue, muscle weakness, and mental brain fog are all symptoms of a hidden vitamin B12 deficiency, which can be easily treated with regular supplementation of vitamin B12 (cobalamin). 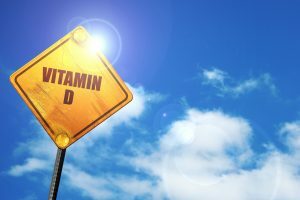 It’s normal to get the blah’s every now and then, but if it seems like your life has been one endless cycle of tiredness, depression, and allover yucky feelings, then you may be a candidate for vitamin B12 deficiency. 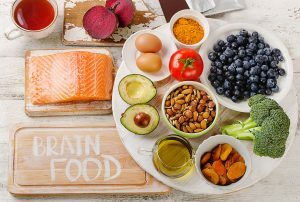 In fact, vitamin B12 anemia often slips past the radar, as people often assume that if they eat healthy, then they are immune to vitamin deficiency. Not so- read more to learn why. Your body needs vitamin B12 for energy, good metabolism, cognitive health, nerve cell protection, and red blood cell production. When your vitamin B12 levels dip to an unhealthy low, you may experience some of the following telltale symptoms- many of which can be misdiagnosed as chronic depression, adrenaline disorders, or multiple sclerosis (MS). First, it’s important to understand that even if you eat lots of foods containing vitamin B12, such as beef, chicken, fish, eggs, and dairy products, you still run the risk of becoming deficient in this essential nutrient. The absolute richest sources of vitamin B12 are organ meats and shellfish. Eat any fried liver or stewed clams lately? I didn’t think so. Secondly, there are a host of medical conditions that can interfere with vitamin B12 absorption– your ability to digest vitamin B12 properly from the protein foods that you do eat, and many of these medical scenarios are becoming more commonplace. Finally, if you follow a strict vegan diet, then you will not replenish vitamin B12 stores without constant supplementation. There are no rich dietary sources of vitamin B12 that are plant-based. Zilch. How can I boost Vitamin B12? If you’re low in vitamin B12 despite eating healthy, then you will need to add it to your blood supply in a non-dietary form. 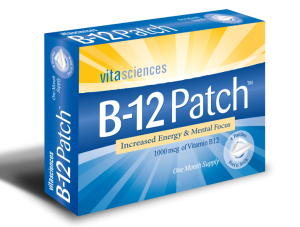 There are many products on the market that boost energy and contain high doses of vitamin B12 without the need for painful B12 injections.